What Makes Beloit the Best Mattress Topper for Stomach Sleepers? Sleeping on your stomach is great for reducing snoring, but it can put strain on your back and neck. When your hips sag into the mattress, your spine falls out of alignment, placing pressure on joints and nerves and causing you to wake up with back pain and even numbness. And since you have to turn your head to an unnatural position in order to breathe, it can also lead to major neck pain. The ideal solution is to switch sleeping positions since lying on your back or side allows your spine to stay more neutral. But since we are all creatures of habit, it’s not always possible to change the way we sleep. It is possible, however, to change the surface we sleep on. We recommend the Beloit Mattress pad for stomach sleepers because it provides a medium-firm cushion on top of any existing mattress. With dense gel foam and soft, pure Joma wool, our mattress topper keeps your core from sagging forward and provides the perfect amount of joint pressure relief. Besides buying the best mattress pad for stomach sleepers, here are some other ways to prevent waking up in pain after sleeping on your tummy. Don’t lift your leg. For many stomach sleepers, it just feels good to pull one leg up toward the chest before falling asleep. But this causes an unnatural twist of the spine and lead to even worse pain. You’re better off keeping both legs straight. Use a thin pillow, or no pillow at all. Your neck is already strained while turning to the side so you can breathe while sleeping. Don’t make it worse by trying to prop yourself up on a big plush pillow. When it comes to stomach sleepers, the closer your neck can be to the mattress, the better. Put a pillow under your pelvis. While our best mattress topper for stomach sleepers offers support for your core, it’s never a bad idea to prop up your hips with a pillow. This will give you just enough extra pressure relief to avoid waking up in pain. 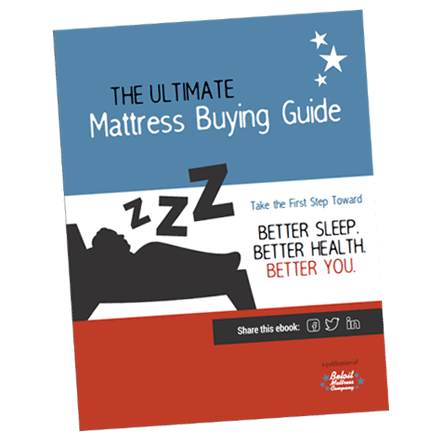 Get the Best Mattress Topper for Stomach Sleepers and Start Feeling the Difference! In order to reach the deep sleep you need to enjoy each day to its fullest, you have to be able to go to sleep – and stay asleep – without pain. The Beloit mattress pad offers the proper support to keep your spine neutral and relieve pressure while sleeping on your stomach. Order yours now so you can wake up refreshed and feeling your best!